OnePlus 5T isn’t a really new handset, it’s a rather incremental upgrade of its predecessor, OnePlus 5.It isn’t a surprising move, as OnePlus remained the same thing in 2016 from its OnePlus 3T. So what will we get from OnePlus’ second generation ‘T’? They are a new & bigger screen, tweaked design, camera improvement and face recognition. In this post today, we’ll take a brief overview of this OnePlus smartphone as it is officially going on sale. The good news is that the OnePlus 5T will be priced at only £449 ($479) for the 6GB/64GB variant, and only £499 ($539) for the 8GB/128GB model. That means the OnePlus 5T is much cheaper than most current flagships while the difference in specs among them is very small. About the launch date of OnePlus 5T, the device will officially go on sale from November 21 in the US, UK, and Europe, while other markets such as China, Hong Kong, and India will get the phone soon after. 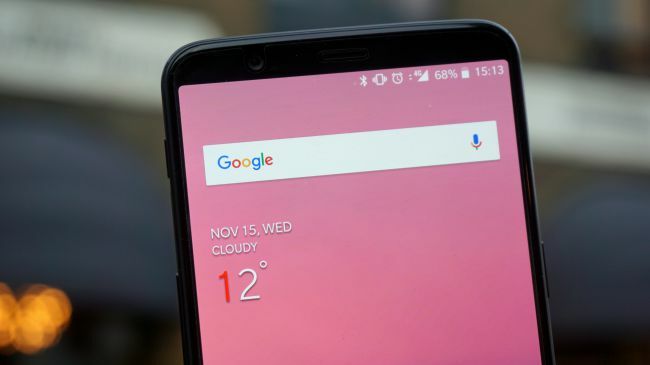 The biggest change of the OnePus 5T comes from its display, with a 6.01-inch Full HD AMOLED touchscreen with the 18:9 aspect ratio, which is this year’s trend of elongated screens appearing on the iPhone X, Samsung Galaxy Note 8, or HTC U11…. This is the first time OnePlus has increased the size of the screen to catch the trend, making it has the biggest screen from this Chinese manufacturer. Although OnePlus has still kept a Full HD resolution for its latest flagship, it doesn’t mean the screen if the OnePlus 5T is poor. Thanks to the AMOLED panel, colors on OnePlus 5 are bright and excellent, but it’s not as sharp as other rivals such as iPhone X or Note 8. However, with its price only at £449, we cannot request more. 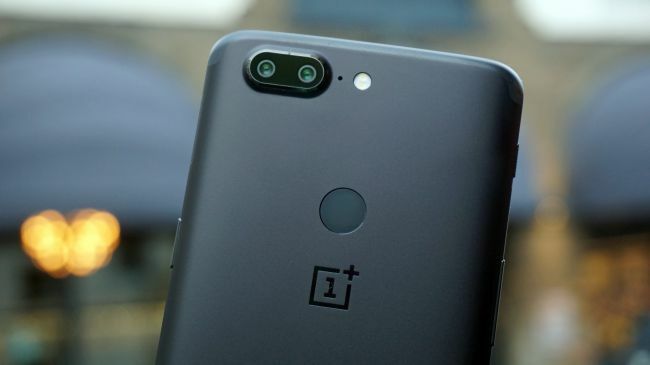 The OnePlus 5T comes equipped the Snapdragon 835 chipset, which is the same on the OnePlus 5 and other 2017 flagships. As mentioned, there will be two options 6GB RAM/ 64GB ROM and 8GB RAM/128GB ROM. Although it’s quite disappointing as the OnePlus 5T doesn’t ship with the Android 8.0 Oreo, OnePlus has confirmed that Oreo will reach the device in the coming months. The Oxygen OS interface is still over the top of Android, which keeps the nearly stock Android platform while only adding a few customization options. The most highlight feature of OnePlus 5T is the inclusion of face recognition tech, which is nearly similar to the iPhone X. Although, the Face recognition on the OnePlus 5T isn’t as smart as Apple’s, it’s still excellent when using over 100 facial identifiers to check your face. This feature is only used for unlocking the handset, and all you have to do is double-tapping the screen or pressing the power button to utilize it. It unlocks fast, without the delay between you tapping the screen and your home screen appearing immediately. Similar to the OnePlus 5 the OnePlus 5T is also equipped a dual camera at the back, but it’s not an identical setup. The OnePlus 5T use a 16MP sensor and 20MP sensor with the aperture of f/1.7 so that users can get the better low-light shots. There is a new feature, called the Pro mode for those who like to fine-tune settings, as well as the Portrait mode for capturing the bokeh-effect shots. You simply long-press the fingerprint scanner to take a photo that is very convenient. Meanwhile, you get a 16MP snapper on the front, which is expected to bring a beautiful selfie shots. The OnePlus 5T is equipped a 3,300mAh battery, which is claimed to last a full day with a single charge. The device also comes with the monopoly Dash Charge technology, which can charge to 100% in half an hour’, but the wireless charging does not appear on the phone, which is slightly disappointed. Here is the brief overview of the latest OnePlus flagship, OnPlus 5T. How do you think about this phone? Let’s know in the comment.